Paper, Metal, Ceramic, Leather, Wood, Glass, PVC,PC, KT Boards And Acrylic, Etc. 2. Nanometer-sized particles, strong resistance against chemicals, excellent pliability and ductility ensure clear printed images. 6. Light fastness, waterproof,water-resistance and keep long time. 3. Increased wear resistance, bright color and amazing result even better than original product. 4. 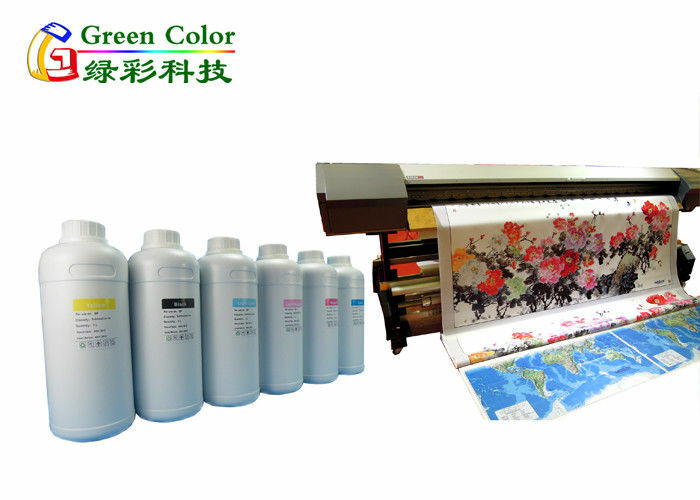 Suitable for many printing material,. stand wear and tear, not easy to discoloration. 6. Using imported raw materials, good dispersion stability, not blocking the nozzle. 7. It’s anti-UV effect prevent,fastness. 8. Not contained benzene, toluene, xylene, cyclohexanone, and other toxic solvents, less smell. Art reproduction, Photo studio background, Subway advertising light box output ,high-quality photo output and so on.